Like hiking? McDowell Sonoran Preserve offers more than 100 miles of trails to explore. 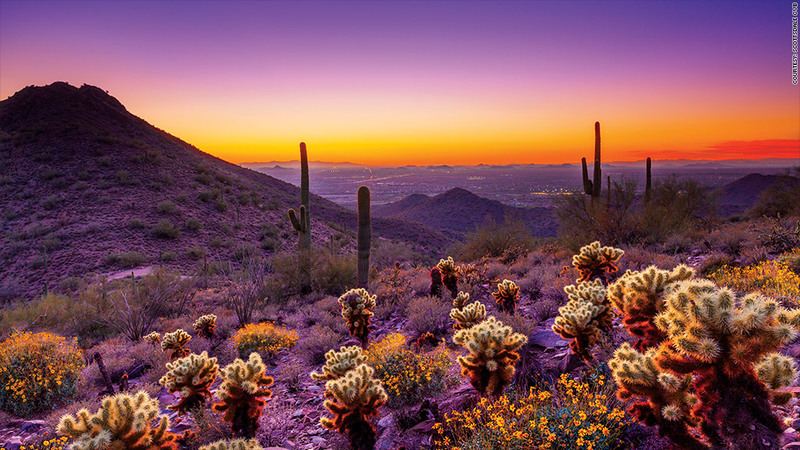 Scottsdale is just 20 minutes from downtown Phoenix, but don't mistake it for suburbia. This Western town is a small city in its own right, complete with a bustling downtown, food carts, live entertainment and one of the largest art markets in the country. In fact, Scottsdale has a long and rich tradition in the arts. Frank Lloyd Wright wintered here for more than 20 years and left his architectural mark on buildings around the city, including his Taliesin West home and school. On Thursday nights, residents can wander through galleries and studios thanks to ArtWalk, a free event that's now a 30-year-old tradition. Meanwhile, dozens of works of public art adorn the city's parks, sidewalks and buildings. Notes: Population based on 2012 U.S. Census estimates, except for Honolulu, which is based on 2010 estimates for the census county division (CCD). Median home prices are sale prices from Trulia for July through October 2013, except for Honolulu, which is based on the three months prior.